persons from every tribe, language, people and nation. 14 The four living beings said, “Amen!” and the elders fell down and worshipped. As I emphasised yesterday we are dealing with visions in which heaven is the counterpart and final future of the earth. In such a theology there is needed a category or character that binds heaven and earth together, and as we shall see, for this author, that role is played by Jesus Messiah, who is characterised as the Lamb. This term is found only in the Gospel of John, the letters of John, and here. It seems to have two scriptural sources: one the image of the Passover lamb, and the other the servant of God in Isaiah 53 who is taken like “lamb to the slaughter house.” It is however an image developed to describe Jesus as blameless victim of evil and redeemer of humanity through the willing sacrifice of his life. Simultaneously he is also the “lion of Judah” the Messiah who has won the victory over the powers of evil. On earth he shares the weakness of his human followers, while in heaven he shares the strength of God; but on earth he never ceases to conquer and in heaven he never ceases to be the slaughtered victim. Only he is worthy to open the scroll which sets in motion the victory of God, because only he has perfectly withstood the slaughtering power of evil in his weak flesh. 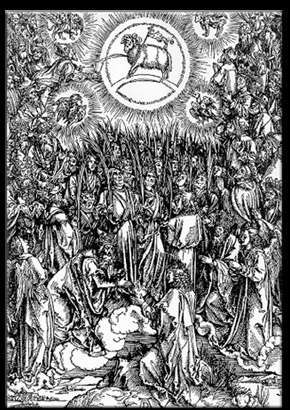 This passage gives instruction to the reader that in interpreting the Revelation, all the language must be understood as referring to the activity of the Lamb who is at the heart of the Throne. So, for example, any mention of killing, or crushing evil must be seen as the action of the crucified Jesus. 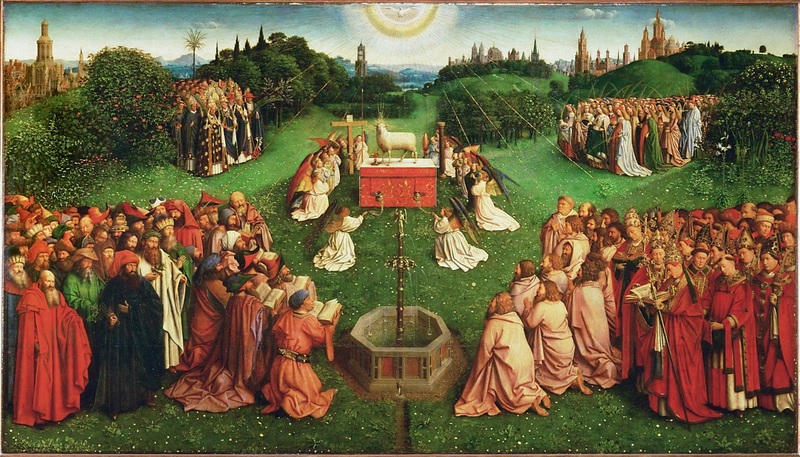 Even the wrath becomes “the wrath of the Lamb ” Failure to accept that only the Lamb can open the scroll that we are reading, will result as it has many times in the history of the church, in a gross misunderstanding of this book. It may sometimes stretch our imagination to see some bloodthirsty description as signifying the love of the Lamb, but we should persevere nevertheless. As if to underline the divine identity of the Lamb the author shows all created beings offering it honour and praise. This book of visions is Jesus – centred, and must never be confused with the worldly triumphalism of the church in its times of affluence.